Any other Chanel fans in the house? Well if you're as enamored with their spring 2014 giant pearl jewelry as I am (have mercy! ), this DIY's for you... Especially if you don't feel like shelling out a couple grand to get the look. This might just be my favourite project of all time, so be sure to read on for full instructions! 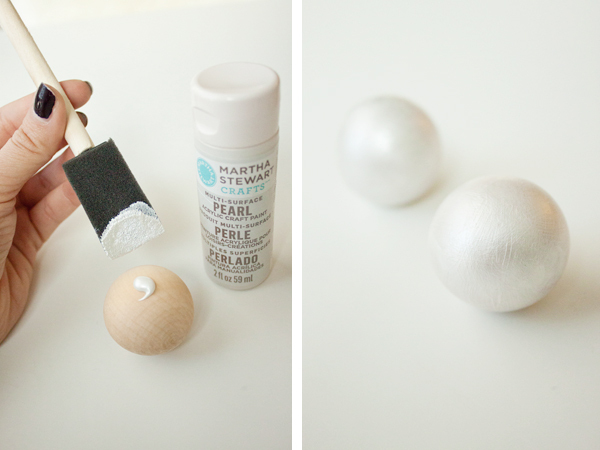 Start by painting two wooden balls (get your mind out of the gutter) with Martha Stewart Multi-Surface Pearl Paint in 'Mother of Pearl' — it's as close to the real thing as you'll get with craft store paint! (I sourced all my materials from Michaels, so if you're unsure where to buy this stuff, that's your best bet.) It's going to take several coats of paint to get the right finish, so be patient and give yourself lots of time. From there, measure how much wire you'll need around your wrist and use a pair of pliers or wire cutters to gently cut it. 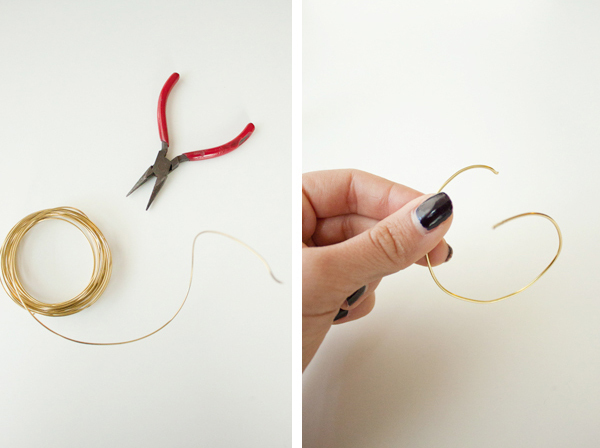 Spend some time smoothing out the wire into your desired shape. Carefully drill a hole into each ball, going about halfway through to the other side. 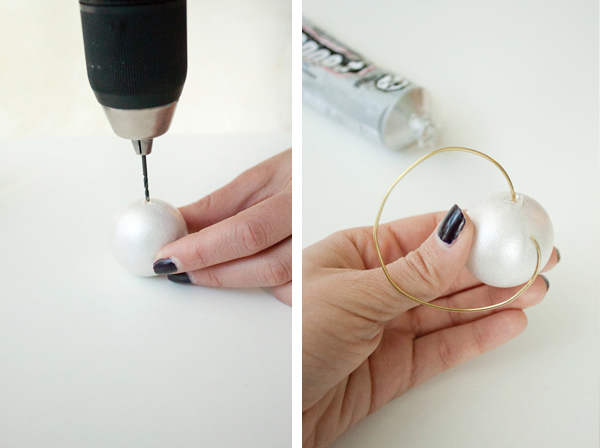 Using a generous amount of glue, insert the wire into the ball, securing the two together. I added some extra glue around the sides of the wire to really keep it place, and allowed the first 'pearl' to dry for about 30 minutes before attaching the other one. Let the bracelet dry fully before wearing it (no matter how much you're dying to!). Your DIY's are always so amazing. Love this. This turned out so well! Will there be a necklace to follow? So cute! your the best! Wow !! I love your blog!! Amazing!! What about the weight? Is it heavy using the two wood pieces? Could you use ping pong balls instead to keep the weight down? Is it heavy using the wooden pieces? Could you use ping pong balls instead to keep the weight down? SO fabulous! You totally pulled off the look of pearls! What kind of wire ,and what size did you use? 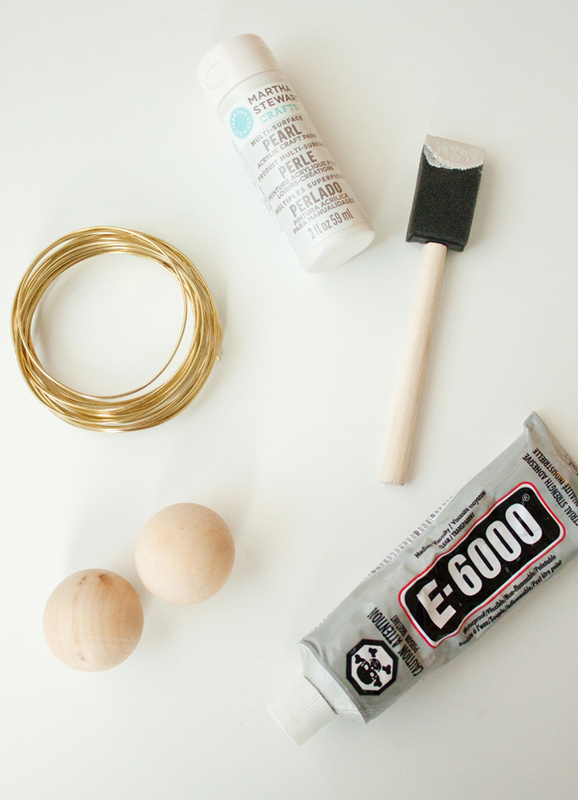 What size wooden balls did you get and do you have a drill recommendation? I'm nos sure where to start. OMG, Vivke, this is such a cool bracelet! I have never seen anything llike this, and I immediately loved it! I should so make one for myself! !